We Host, Support, and Update. Launch a beautiful social website in minutes. If desired, easily integrate your community to your current website. Leverage a complete CMS for adding pages or rearranging customizable content widgets for deeper personalization. 100% white label with no "powered by" or ads (unless you choose to use Google Adsense or other ad units to make money.) Maintain total control over your community's look and feel, easily adding your own logo, colors, layout, etc. Kick the tires, launch the demos, and just consider the possibilities! 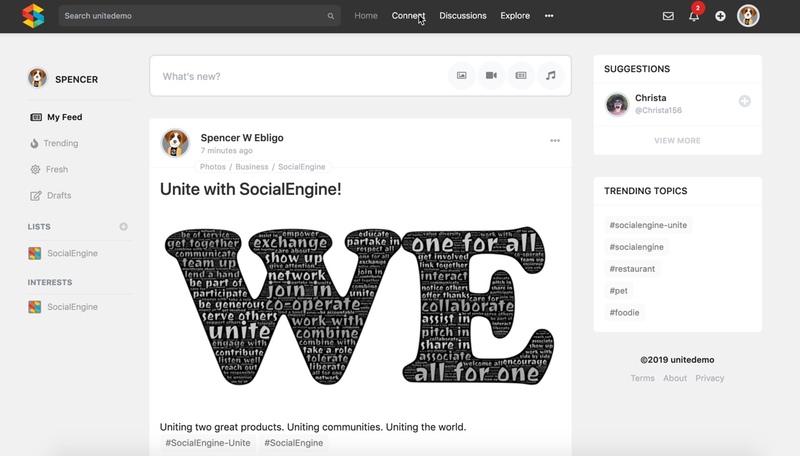 Remember, like thousands of social websites and branded communities powered by SocialEngine, your ability to uniquely customize the look and functionality is virtually limitless. Enable private messaging between members. Do mass-messaging or limit messages to targeted recipients with community notifications and notifications via email. Your community members have a range of content, activity and personal information features that can be fully customized. Set profile layouts, member and moderator levels, privacy, profile questions, post options and more. You have multiple options for how people will join and interact in your community. Create networks based on profile commonality, email message templates, invitation options and more. Stream community member posts, member comments, shares and likes of all types. Enable members to attach links, photos, music and videos. Timestamp, filter, share and customize feed content as desired. Monetize your site through subscription and membership billing plans, offering paid-only access for certain levels or sections of the community. 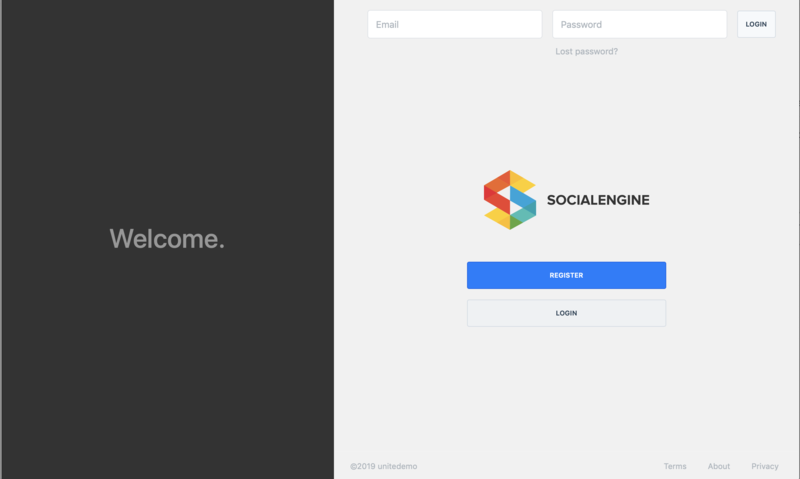 SocialEngine's easy to use CMS enables you to customize the layout, style and content through drag-and-drop layout functionality. Leverage public and private sections, SEO-friendly URLs, multi-language support and more.